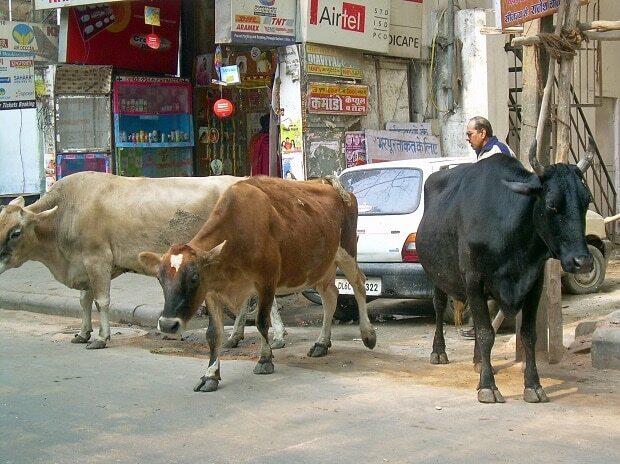 The Uttar Pradesh Cabinet Tuesday empowered the urban and rural civic bodies to run temporary shelters to take care of stray cattle. A policy decision to this effect was taken in a Cabinet meeting chaired by Chief Minister Yogi Adityanath, a government spokesperson said. He said with the machines having taken over the traditional methods of agriculture, the cattle owners often abandon their livestock, leading to problems like damage to crops, traffic disruptions and road accidents. The new policy will enable the departments concerned to work in coordination with each other and achieve better results, he said. The state's Animal Husbandry Department too will help the civic bodies in their endeavour, he said, adding the government will strive to make these "gauvansh ashray asthal" self-sustaining. Earlier last week, the chief minister had directed officials to make immediate arrangements for proper care of stray cows. He had also ordered to free grazing grounds from encroachments in different parts of the state. In a meeting with senior officials, the chief minister had asked them to set up a committee to consider measures for providing better shelter facilities to stray cows and directed Chief Secretary Anup Chandra Pandey to present recommendations on the issue in a week. In another decision, the Cabinet approved a provision for compensation to police and fire service officials if they suffer disability in discharge of their duties. Earlier this compensation was extended only in cases of death, the spokesman said. In a bid to put a greater check on the corruption, the state Cabinet also decided to give the status of police stations to ten vigilance unit to speed up inquiry and prosecution in graft cases, he added.